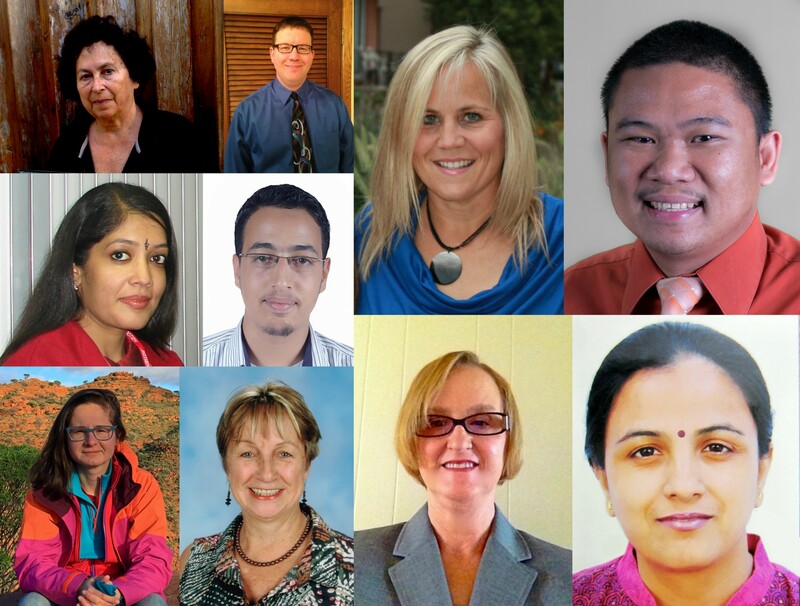 Announcing the Great Global Project Challenge Grant Awardees! The Global Education Conference Network is thrilled to announce the winners of the Great Global Project Challenge Grant, just in time for the International Society for Technology in Education Conference (ISTE) taking place starting June 25th in San Antonio, Texas. The GEC has been proud to partner with sponsors of this initiative, Participate and the Partnership for 21st Century Learning. Educators are interested in engaging in project-based learning with other classrooms around the world. Often they embark on time consuming journeys to identify potential deep learning opportunities as well as reliable project partners. And, it is sometimes difficult for educators who design projects themselves to find active participants. The Great Global Project Challenge is an initiative designed to collate projects and connect interested collaborators. The International Society for Technology in Education (ISTE) recently revised its standards for students (and are expected to announce new ones for teachers this June). ISTE calls for students to become empowered learners, digital citizens, knowledge constructors, innovative designers, computational thinkers, creative communicators, and most notably, global collaborators. The Great Global Project Challenge helps educators provide authentic learning opportunities for students to meet these international standards. During the 2016–17 school year, global educators designed collaborative projects in which other students and teachers participated. The objective of the GGPC was to create and present as many globally connective projects for students and educators as possible. All projects were listed here. Additionally, thanks to the generosity of sponsors Participate and P21, we were able to award 9 grants of $1500 USD each to outstanding projects. The grant monies from these awards are intended for awardees to further project-based learning in their classrooms. Please take a look at the work of these awardees. They worked very hard to design and execute projects that connected their classrooms to the world! Below you will find links to the project where applicable and short descriptions from the grantees. Make sure to follow their work by following them on Twitter, too! The project ROOTING FOR CHANGE facilitated exploration of the relationship between different cultures and the environment through fables/traditional stories/religious texts. Students conducted research identifying local communities practicing sustainable living with small carbon footprint. They identified effective practices followed by indigenous communities and conducted an audit find how green our schools really are(air quality, energy-water consumption, waste segregation-waste disposal, green cover). Traditional and indigenous knowledge that can be adapted to address current environmental crises with peers across the globe was shared and workable solutions were developed leading towards a greener environment and sustainable living at school, home & community level. Environmental problems common across geographies were analyzed and recommendations were made for corrective action after seeking support of students from the legal studies department in the home school. An online petition on change.org was started that gathered momentum and created awareness amidst the general public to become carbon neutral. Follow Kamal Preet on Twitter. Students were invited to travel the world and visit virtual pit stops. Students and/or teachers in each respective location have created pit stops designed to educate visitors about where they live. Pit stops were all unique but typically featured a short video, facts about each location and a Google Form/Quiz consisting of approximately three to five questions and a brainteaser. Once students completed the Google Form, they received an email containing the correct answers as well as a stamp for their virtual passport. Follow Laurie Clement on Twitter. Mathematics is the universal language, but we all have different dialects in speaking in that language. High school math students from Wisconsin collaborated with high school math students from the Czech Republic to explore how each culture approaches mathematical problems. Students shared and learned from each other how to solve algebraic math problems. Students presented those methods synchronously and asynchronously. We also shared similarities and differences of our cultures during major events in each culture. Follow Chris Collins on Twitter. International Junior Writers Club (IJWC) was an initiative that provided Alternative Education students of Odessa, TX and their partner international students with opportunities to collaborate with each other in writing projects and assignments. The goal was to produce at least one collaborative writing project (any genre) or conduct at least one revising and editing activity using shared international writing outputs every three weeks. As its core mission, IJWC has sought to promote middle/high school students’ global collaboration, cross-cultural understanding, and global competence. Follow Reynaldo Duran on Twitter. Students made kites to fly as a massive tribute dedicated to advancing the cultural and social dialog, a symbol of bridging the gap and understanding the “other.” This will hopefully become a continuous tradition of flying kites with personal and group images of our dreams for a better world, a world of co-existence, tolerance, acceptance of the “other” and peace. Kites were flown on the March Equinox on and around March 21, 2017. The project is dedicated to Janusz Korczak, who advocated for the rights of children. In this project, students engaged in a series of activities and meaningful exchanges with partners from different countries. They discussed ideas they have about those countries so as to debunk the stereotypes and promote understanding of other cultures. They exchanged letters, cards, cultural aspects such as greetings and recipes, traditional games and women situation with their partners from Uruguay, Sri Lanka and Pakistan. They also wrote, exchanged, and acted out scripts about the environment. Students gained many skills throughout the project. They learned how to make and edit videos and brochures, take photos, use online platforms for collaboration, in addition to developing many problem-solving and drama skills. They have created videos, brochures, Power Point presentations, posters, and plays as final products. All in all, the project was interdisciplinary and global. Besides English language, students used the skills gained in Geography and History, Physical Education, Islamic Education, Arts and ICT. They developed a clear understanding of different countries and debunked many stereotypes. They concluded that people are similar despite the differences that exist between them. They all like peace, love, joy, respect and to be understood, not judged. Note that Omar used Chalkup for this project and there is a special code needed to view the project. Contact him for further information by following him on Twitter. Follow Christine Trimnell on Twitter. USA — Ruth Valle, Sequoyah High School (TN), Why Should I Study Another Language? This purpose of this project was to investigate reasons why young people want to study other languages and to compile a list of favorite language learning apps and websites. A total of 28 schools from various countries participated by completing surveys and sending videos explaining their passion for language learning. A website was created to feature the project results at http://whystudyalanguage.weebly.com/participating-schools.html. Follow Ruth Valle on Twitter. The objective of this project was for high school students to create a multimedia presentation in the form of a digital story. Students’ stories contained some mixture of computer-based images, text, recorded audio narration, video clips and/or music. The project started in September 2016 and ended officially in April 2017. Follow Barbara Anna Zielonka on Twitter. Once again, we congratulate these talented teachers for designing projects and sharing them with the world. They have provided exemplars for other teachers to follow, and we hope that they will mentor other teachers to do the same. If you will be at #ISTE17 and want to learn more about globally powered project-based learning, join us for our free annual Global Education Day event on Sunday, June 25th. And, see if you can also spot some of these rockstar grantees at #ISTE17 as well; rumor has it that Ruth Valle, Reynaldo Duran, and Laurie Clements will be in attendance! Grantees will be required to present their work at our annual online Global Education Conference in November, so you will be able to catch them virtually as well! Thanks again to Participate and P21 for their support. Check out Participate’s course on the UN’s Sustainable Development Goals and the collection below for getting started with globally connected teaching and learning.